The 1967 Outer Space Treaty forbids using space for military operations, but is unclear on commercial use. In 1967, the US, the UK, and what was then the Soviet Union signed the Outer Space Treaty (OST), the only law governing the activities of humankind in outer space. The OST turns 50 in October 2017, and today the pact continues to forbid 107 party nations, as well as 23 signatories who have yet to ratify it, from colonizing or using celestial bodies for military operations. This law’s importance is growing once more, as the prospects of space colonization and asteroid mining inch closer every day. 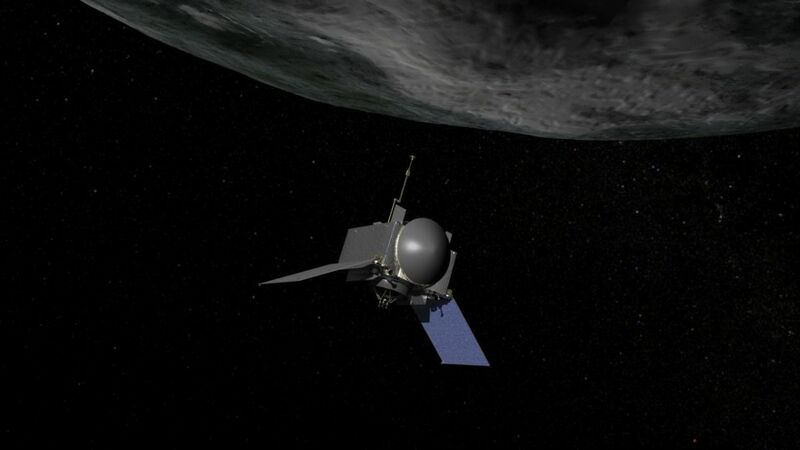 The need for asteroid mining in particular has become obvious, prompting a need to revisit the pact. Right now two companies, Deep Space Industries of California and Planetary Resources of Washington, are working toward mining asteroids. The companies share the same goals: to supply building materials, rocket fuel, water, and other deep-space supplies too expensive to transport; to test their mining technology in low Earth orbit this year or soon thereafter; and to launch mining spacecraft to asteroids by late 2020. Some parties to the OST say that extracting any resources from asteroids violates the treaty. Although the OST does not explicit mention mining, a ban on “national appropriation” of celestial bodies is among its key provisions, which arguably applies to resource extraction. This is the position of opponents to asteroid mining, including Belgium, Brazil, and Russia. Its proponents, including the US and Luxembourg, argue that the ban should be interpreted similarly to the “global commons” status of the world’s oceans, which allows any nation to fish, and no nations to colonize or unfairly exploit the oceans. University of Nebraska–Lincoln space law professor Frans von der Dunk told Scientific American that the pact “doesn’t provide you with much guidance” on the matter. Journal of Space Law editor-in-chief emerita Joanne Gabrynowicz cites the global commons counterexample of Antarctica, where treaties detailed explicit guidelines for permissible extraction. Both von der Dunk and Gabrynowicz point out that there will be a need for more guidance before any specific countries move forward with their plans for space mining. An “international licensing body and some international sharing of benefits” could be necessary, in von der Dunk’s words. The conflict arising over space mining, while unique in some ways, is characteristic of the law generally. This is especially so in the realm of science and technology, where a “law lag” between advanced discoveries and the reactionary nature of law result in incomplete or nonexistent regulatory frameworks, policymakers with poor understandings of the subject matter at hand, and other, related problems. The US has, for decades, taken the position that the OST allows commercial exploitation. In 2015, President Barack Obama signed a law authorizing a licensing program for mining and recognizing property rights to asteroid-derived resources for American citizens. Luxembourg, which plans to become a global space mining hub, has passed similar legislation. These national licensing regulations, according to Planetary Resources chief counsel Brian Israel, fulfill the OST’s requirement that parties ensure their citizens’ compliance. In reality, and just as you’d expect given the typical “law lag,” it is possible that until companies actually begin mining, or at least put boots wherever they’re going so that the mining is imminent, no discussion or real progress toward any international framework will be made. For example: despite fresh interest in colonizing and mining the moon, the ill-fated Moon Agreement remains un-ratified by every country that would actually be affected. The agreement attempted to set forth rules for resource use, and was rejected specifically because of the issue of resource and benefit sharing.